The Tuscan Coast, although Tuscany is world famous for its rolling hills and fields of sunflowers, there is also another, less well known side to Tuscany - the coastal region. 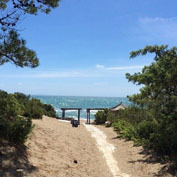 There are miles and miles of long sandy beaches along the Tuscan coast, many of which have been awarded the coveted "Blue Flag" for the cleanliness of the water and beaches. The coast area is perfect for families, it's safe for swimming and the ice cream is great!. The coastal region has lots of sporting facilities including sailing, windsurfing, kite surfing, fishing and sub aqua. For those who'd rather take it easy, there are boat trips out to the Tuscan islands and the local food and wine are superb. 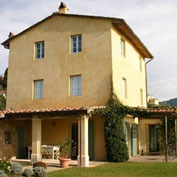 The northern Tuscan coast is close to Pisa Airport, the walled city of Lucca and only an hour or so from Florence. The southern Tuscan coast is within easy reach of Rome airports and has beautiful areas to explore like Argentario and Capalbio. 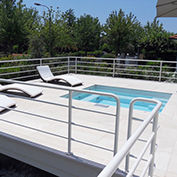 A stylish modern villa near the Tuscan coast (5km). Private garden, private pool, modern spacious interiors, well equipped kitchen, gym, pool table, air con in bedrooms, screens, wifi internet, outdoor dining area. within easy reach of Pisa airport. 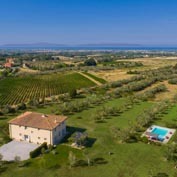 Beautifully renovated luxury villa, 3 bedrooms, 2 bathrooms, Professional kitchen, air con, Sat TV, KYY TV, DVD, library of books & music, outdoor dining, BBQ, heated pool, WI FI, Camaiore 2km, Tuscan coast 10km, Lucca 20km, Pisa 35km. 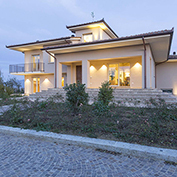 Stylish villa overlooking Lake Massaciuccioli and the sea. Sleeps 6+2 in 3 bedrooms and 2 sofa beds. Livingroom with fireplace, well equipped kitchen, private garden, private pool (16x4m), wifi internet, sat tv, screens, aircon in bedrooms, bbq, pizza oven, pergola. 20 mins from beach. 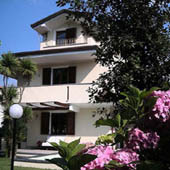 Pretty, modern semi detached villa in Forte dei Marmi. 4 bedrooms, 4 bathrooms. 750 mts to the beach. Living room with flat screen TV, well equipped kitchen, dining room, private plunge pool, garden, outdoor dining, air conditioning, WI FI Internet. 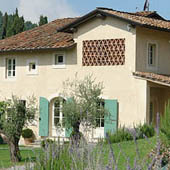 A pretty villa near Camaiore. sleeps 8 in 4 bedrooms with ensuite bathrooms. Panoramic views. Outdoor pool and hottub. Air con, sat tv, wifi internet. Private parking. BBQ. Outdoor dining area. Local shops and restaurant 1km. 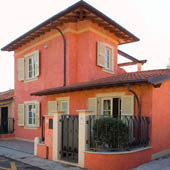 Luxury villa in Roccamare. 5 bedrooms all with en suite bathrooms, modern kitchen. Outdoor dining, pretty furnished roof terrace, 50 - 100 mts to the beach private to residents. Pergola on the beach. Air con, WI FI, satellite TV. Use of private tennis court close by. Castiglione della Pescaia 5km. Stylish villa 10 mins to the beach. 5 bedrooms, 4 bathrooms. Open plan living rooms and fully equipped kitchen. Private outdoor infinity pool, heated indoor pool, home cinema, vegetable garden.WI FI air conditioning, ping pong, pool table, archery, mountain bikes. Well equipped 40 sq mt gym. Fabulous views. Restaurant 2km. A superb luxury villa with beautiful stylish interiors. 7 bedrooms 6 bathrooms + pool bathroom, private pool , large garden, BBQ, Sat TV, DVD, WI FI internet, Turkish bath, Air con, wine cellar, cinema room, use of private tennis court, horse riding stables, private 12 hole golf course, 20/25 mins from coast with several beach resorts. 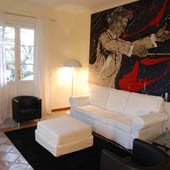 Fabulous, modern villa with designer touches and furnished with style, close to Capalbio. 8 bedrooms, 7 bathrooms. 2 living rooms. 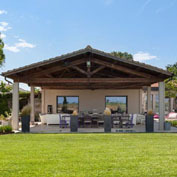 Wonderful outdoor areas including a portico, gazebo and pool area with changing room and bathroom. Large private pool 15 x 7 mts. Air con, WI FI Internet, safe, covered parking for 3 cars. Beach at 5 mins, Orbetello 20 mins. A superb bright, modern villa set in a large garden, very close to the beach 700mt and the chic seaside resort of Forte dei Marmi 4km. 8 bedrooms/10 bathrooms. 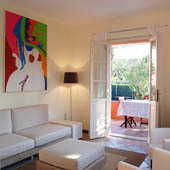 Large terrace for relaxing, outdoor dining WI FI internet, sat TV, air con in bedrooms, BBQ, private parking, private pool. A stylish luxury villa with beautiful chic interiors. 8/9 bedrooms, 11.5 bathrooms, 3 pools with cascades , large garden, BBQ, Sat TV, DVD, WIFI internet, Air con, spa with Jacuzzi & Turkish bath, use of private tennis court, horse riding stables, private 12 hole golf course, 20/25 mins from coast. 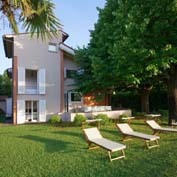 Superb modern villa in Forte dei Marmi. 5 bedrooms, 5 bathrooms. 300 sq mts and 600 sq mts garden. Air con, video surveillance, alarm, TV in all bedrooms, safes, WIFI, BBQ, outdoor dining, covered parking for 2 cars. Outdoor hot tub. 900 mts to the beach. 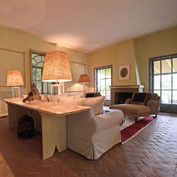 An elegant villa situated in the exclusive Roma Imperiale area of Forte dei Marmi. Sleeps 8 in 4 bedrooms, 3 bathrooms. Private garden, pool (11x6m). Wellness suite with sauna, Turkish bath and jacuzzi. Outdoor dining area with kitchen. Wifi, sat tv, aircon in bedrooms. Alarm and electronic gate. 1,5 km to beach. 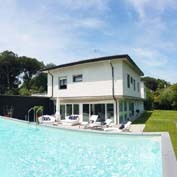 Pretty, modern semi detached villa in Forte dei Marmi. 4 bedrooms, 3 bathrooms. 750 mts to the beach. Living room with flat screen TV, well equipped kitchen, dining room, private plunge pool, garden, outdoor dining, air conditioning, WI FI Internet. 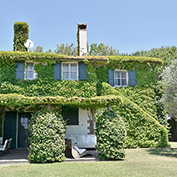 A lovely architect built house in Forte dei Marmi. Light and airy. 700 mts to the beach. 4 bedrooms, 3 bathrooms. Living room, dining room, well equipped kitchen, spacious terraces, pergola. Air conditioning in living room and all bedrooms. Large garden. Town centre 1.3km. A pretty stone villa with fabulous views. 3 suites with en suite bathrooms, 1 bedroom cottage. 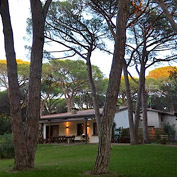 Set in 1 acre of olive grove. Patios, pool. BBQ. WI FI Internet, Air con, Sat TV. Local village close by, 6 mins to local town, 20 mins to seaside. 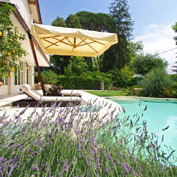 A beautifully restored farmhouse located in a small village 3 km from the centre of Camaiore. Sleeps 8 people in 4 bedrooms (3 doubles and 1 twin). Surrounded by olive groves and vineyards. Fenced garden, private pool, bbq, air-con in all bedrooms. Screens, Wifi internet. 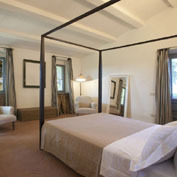 Sat TV, fitness room, 3 km from the centre of Camaiore, 20km from Lucca and 12km from the Versilian coast. 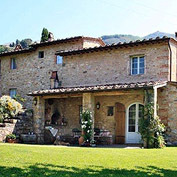 A pretty villa set in the hills above Massarosa. Sleeps 10/12 in 5/6 bedrooms, 4/5 bathrooms. Living room, dining room, well equipped kitchen. Air con, wifi, sat TV, BBQ, spa area, outdoor dining area, private pool (14x6). Close to local village (1.9km) and the coast 8km. 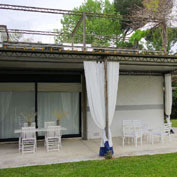 A pretty, modern semi detached villa in Forte dei Marmi. 750 mts from the beach. 5 bedrooms, 4 bathrooms. 2 living rooms, 2 dining rooms, well equipped kitchen. Garden, private pool, gazebo, terraces, outdoor dining, Air conditioning, WI FI internet. Superb villa in Roccamare. 150 mts to the beach. 5 bedrooms, 4 bathrooms, well equipped kitchen, DVD, Mp3 players, 3 flat screen TVs, large garden, outdoor dining and relaxing, WI FI, Sat TV, BBQ, private parking, changing hut and pergola on beach. 5km to Castiglione della Pescaia. 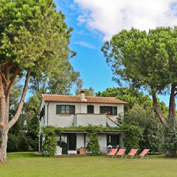 A superb villa located just outside Forte dei Marmi. 6 bedrooms, 6 bathrooms, large living groom, well equipped kitchen, dining room, library. Very large 4,000sq mt garden, covered area with kitchenette at pool. Private pool. Quiet residential area approx. 800 mts from the beach and top class beach club. Air conditioning. Satellite TV. WI FI, phone/fax. Forte dei Marmi 4km. Superb villa with 5 bedrooms, 6 bathrooms, living room, dining room, professional kitchen. Turkish bath. Hot tub with hydromassage. internet. Garden, terrace and pergola, BBQ. Private pool. 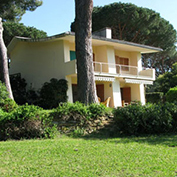 Within easy reach of the coast (15kms), Camaiore 10 mins, Lucca 18 km. Walking distance to village with 2 restaurants. 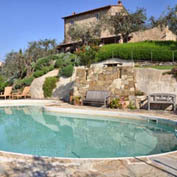 Beautiful, stylish villa sleeping 12, set in the countryside near the Tuscan coast. Air con, sat TV, well equipped kitchen, private garden, private pool. 30 mins from Pisa airport. Pretty stone farmhouse with 3 bedrooms, 4 bathrooms, living room, dining room, well equipped kitchen. Large terrace, private pool and gazebo, bar at pool. Panoramic views. Internet key available. 22kms to S. Vincenzo. 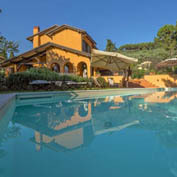 Fabulous luxury villa with infinity pool located 5km from Castiglione della Pescaia. Amazing sea views. 7 bedrooms and 7+1 bathrooms. Stylish décor and furnishings, 2 well equipped modern kitchens. Top class fixtures and fittings. Pretty outdoor spaces for dining “al fresco” includes a BBQ area. Private salt water pool 15x5mts with cover. Air con, WI FI Internet. 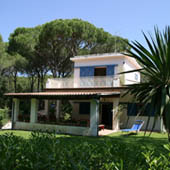 A beach house set in the exclusive residential estate of Roccamare, minutes from Castiglione della Pescaia. Living room, kitchen, 4 bedrooms, 4 bathrooms, private garden with lane to beach. Air conditioning, internet. Beach hut and covered pergola on beach. Within easy reach of Pisa airport. 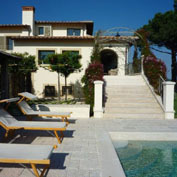 Pretty designer villa close to the Tuscan coast. 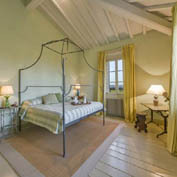 Set in a WWF nature reserve, 6 bedrooms, 6 bathrooms. Bright modern interiors, well equipped kitchen, large grounds, WI FI, Sat TV, air con. Direct private access to the beach at 600mts. Hut and pergola on the beach. Rome airport 100km. Chic designer villa close to the beach. Set in a WWF nature reserve. 6 bedrooms, 7 bathrooms, WI FI, Sat TV, BBQ, patio with outdoor dining, spa with Turkish bath and gym. Direct private access to the beach at 600 mts. Hut and pergola on the beach. Beach club at approx. 2km, private footpath to sandy beach at 700 mts. Electric buggies and bikes available. 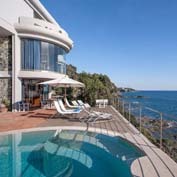 A modern style seafront villa with stunning, panoramic seaviews. 6 bedrooms, living room /dining room, well equipped kitchen. Balconies and terraced garden, private pool, air con, Sat TV, WIFI internet, private access to sea, close to local town, 300m to beach club. 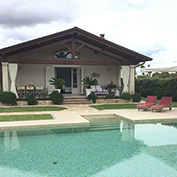 A bright, modern villa only 500mts from the beach. Sleeps 11 in 5 bedrooms, 3 bathrooms. Livingroom, well equipped kitchen, dining room. Large garden, outdoor patio, BBQ, Wifi internet, Air con, Sat TV, Close to all amenities. Shops at 300 mts. 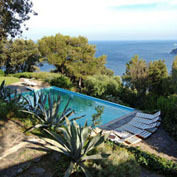 An architect designed, modern style villa overlooking the sea in Argentario. Sleeps 12 in 6 bedrooms with ensuite bathrooms. 4 living rooms, 2 kitchens, air con, wifi internet, large gardens, private pool with seaviews, tennis court. 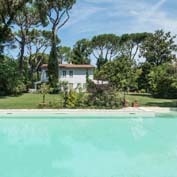 Pretty villa in Forte dei Marmi with 3 bedrooms, 3 bathrooms, living room /dining room with well equipped kitchen, patio with outdoor dining, balcony, satellite TV, wifi internet, bikes, 300 mts to town centre, 600 mts to beach. Restored Spanish watchtower right on the sea. Magnificent views towards Argentario and the islands of Gigli and Montecristo. 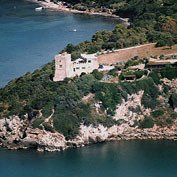 Large living room, large terrace overlooking the sea, kitchen, hall, 4 double bedrooms, 4 bathrooms. Air cond/fans. Terrace garden, pool, path to the sea. Extra guest house 2 double bedrooms, 2 bathrooms with shower, air con. 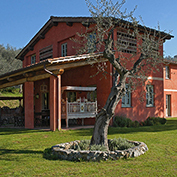 Rather than a villa or apartment, if you'd prefer to stay in a Tuscan Seaside Hotel, our partner has a wide selection available.